Get ready for a whirlwind of adventure with Freddy the Frogcaster when a famous storm chaser visits Lilypad! In her fourth book, well-known meteorologist Janice Dean tackles some scary weather. 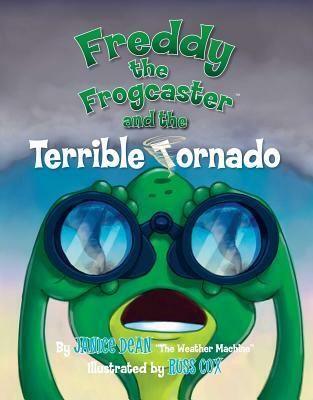 Freddy the Frogcaster is faced with one of the most ferocious and devastating kinds of weather: the tornado. Young readers will learn all about how big storms occur and produce some of nature's most destructive weather. Chock-full of storm science lessons in the back, children and adults alike will learn valuable life-saving information. As Freddy reminds us, please be prepared and know what to do and where to go when the next bad storm comes your way!